When no script control presents – The script is downloaded and executed immediately, before the browser continues parsing the page. Adding the defer attribute tells the browser to wait with executing the script until it finishes processing the document. commonly used when the script to be loaded is reliant on the DOM structure. Adding the async attribute tells the browser that the script can be safely executed asynchronously. that’s good in cases where the script can act as a stand-alone script which does not rely on the DOM being ready first. There are multiple loading times, and each of them should be used wisely, in order to achieve the fastest loading times of your app. Script files loaded in the <head> prevent the document body from rendering, which results in a blank page being displayed to the user while the browser waits to download and execute the script. As such, most web applications will only load script files in the <head> if it’s absolutely necessary for the script to do its job – for instance, analytics software that tracks user behaviour needs to be loaded as early as possible in order to accurately track everything. This loading method is considered as one of the best practices in JS loading times. In this area you should include all of the scripts that are necessary to be on the page at the page load – for example JS libraries like jQuery. The most important thing to remember about this loading time – make sure you load the bare minimum required code for functionality. any other code should be loaded on demand. The load event – is triggered after the HTML & JS within the <body> has finished loading & executing. At this point the browser is no longer “busy”, and it would be a good time to load non core functionality code. 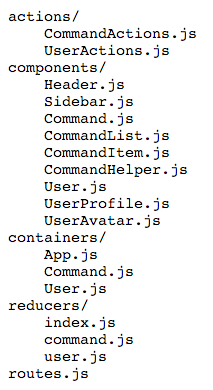 In order to load scripts on demand you should use a simple loading tool like RequireJS. Loading on demand can happen at any point in time, based on how the user is interacting with the application. it will be done the same way as loading scripts on the window.load event, using a script loader. This method is very useful when certain functionality is not needed when you load the page, but only on certain cases. For example: only when a user focuses on the search input, we will load the autocomplete functionality.